Are you scared of colour for fear of not getting it right? Here are 3 easy ways to add colour to your look. Many women are afraid of wearing colour, but as we get older, wearing colour actually becomes more important. 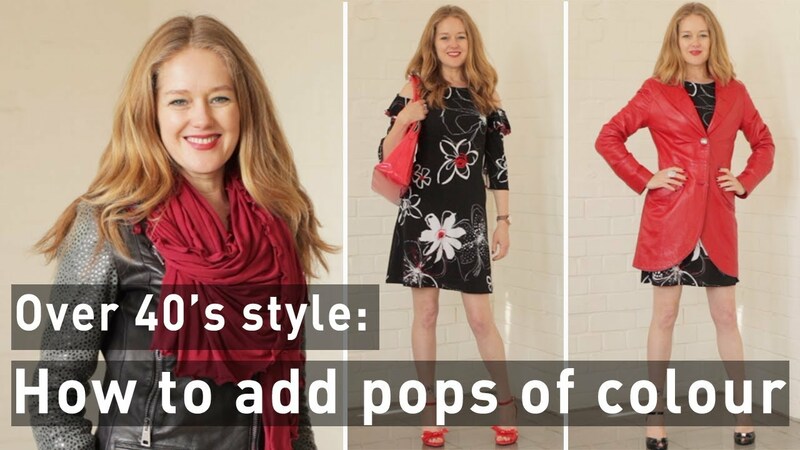 In this video, I’m going to give you some quick and easy tips to easily adding colour to your look so you look youthful and even more gorgeous. I recently uploaded a post onto my instagram showing how I added pops of colour to my otherwise neutral outfit and there was such a response, I thought I would make a video on this very topic. It’s most important to bring some colour close to your face to highlight your complexion. Scarves and the right shade of lipstick are an easy way of doing this. You can then also add pops of that same colour in shoes or a handbag. If you are going to invest in a colour handbag and or shoes, ensure they will go with quite a few things in your wardrobe, to ensure they are worth the spend. 2. Choose one statement piece in a colour that works for you. This could be a jacket, a coat or even a pair of trousers or a skirt. Once again, make sure it’s a colour that will work well with your existing wardrobe. 3. Make use of prints with a neutral base, that have pops of colour. This is a great way of slowly introducing colour into your wardrobe. Then as you get braver, you can add an accessory or even wear your statement colour piece over it.